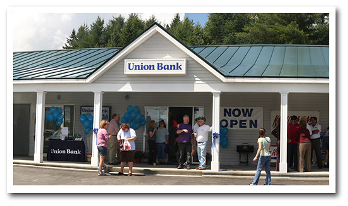 Union Bank is a community bank serving northern Vermont and northwestern New Hampshire, helping people buy homes, and businesses create jobs for 120 years! 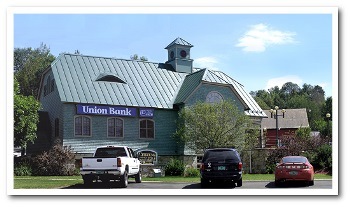 Headquartered in Morrisville, VT, Union Bank is a full-service bank offering deposit, loans, asset management and commercial banking services. 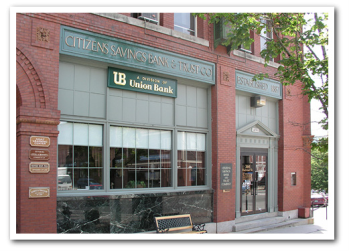 As a community bank, Union Bank is strongly committed to supporting local success and growth. That commitment-combined with our financial expertise, quality products and good old-fashioned service-provides our customers with an unbeatable banking experience. We invite you to take advantage of our local insight, knowledge and experience, and our exceptional customer service today at any of our branches, including Danville, Hardwick, Lyndonville, Railroad Street, St. Johnsbury, Portland Street, St. Johnsbury and Dells Road and Main Street Branches in Littleton, NH. Purchase, Refinance & Construction Loans/Competitive Rates! Please visit our website at www.UBLOCAL.com. 802-888-6600. 1-800-753-4343. Member FDIC. Equal Housing Lender. Union Bank - Stay local. Go Far. Union Bank has been added to your trip.